Ishtiaq Hussain s/o Shaukat and his driver Ata ur Rehman embraced martyrdom when terrorist opened fire on Ishtiaq car. The incident occurred in Korangi 3.5. He was founder of 9th Moharram procession. 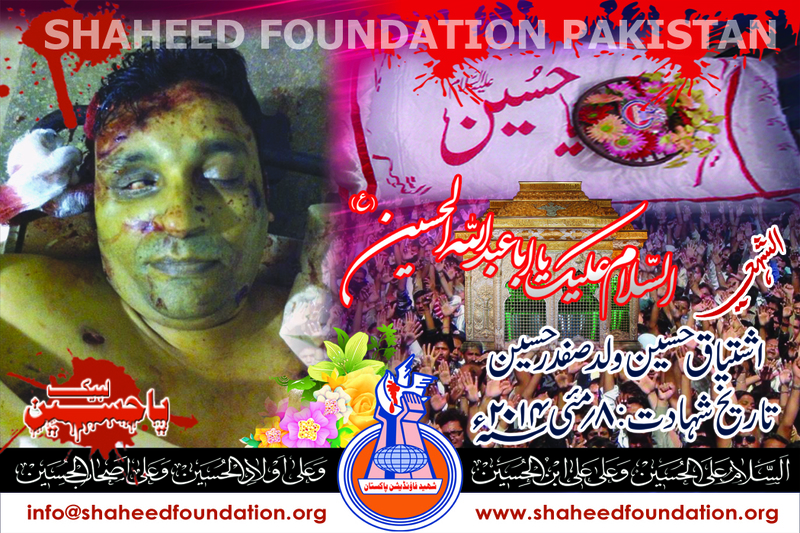 Please recite fateha for Shaheed Ishtiaq, Ata ur Rahman and Shohada-e-Millat-e-Jaffaria Pakistan.